These interesting creatures live on Madagascar and are scavengers of mostly vegetation. The hissing sound is produced when they force air out of the sides of their abdomens where the respiratory openings are. 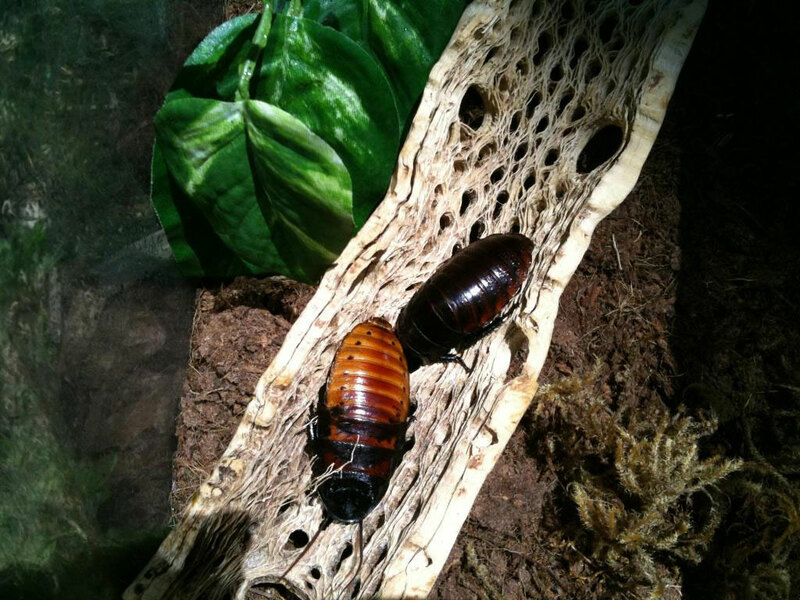 Unlike other roaches, these guys do not have wings.